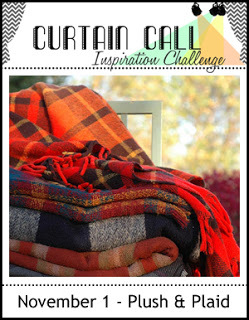 Thank you so much for joining us for the Curtain Call Inspiration Challenge - Plush & Plaid! "I just loved Silke's beautiful wreath colors. The olive plaid along the bottom is a wonderful contrast. So pretty!" " I, too, loved Silke's wonderful wreath and how she added the plaid as a strip along the bottom of her card." "Silke's wreath is gorgeous as is her colour combination and the plaid strip along the bottom grounds her card beautifully." "Love Silke's layers of stamping and the colors are perfect!" " I love Lynn's wonderfully colored cat. SO sweet on top of the plaid paper with the fish in the background." Congrats to both the winners!! 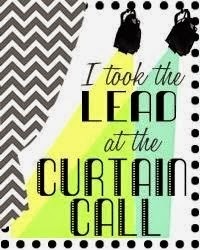 YEAH...thank you sooooooooooo much for choosing my card as the lead! 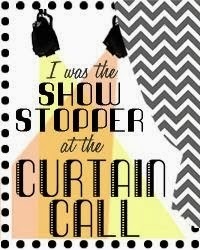 I'm so excited! Congrats to Lynn as well!